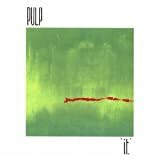 After their 1983 debut mini-album It, the original Pulp lineup only released two more songs, both appearing on September 1983's Everybody's Problem single. 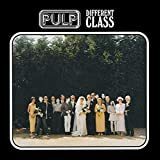 Never to my knowledge re-appearing on any later compilations, it's probably the rarest/most unheard Pulp single in existence. 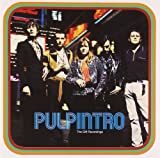 Red Rhino, who had financed It, again paid for the single, but it was to be the last thing Pulp released on the label, as when Jarvis reformed Pulp with a new lineup they would sign to Fire, a label they would (reluctantly) stay with until the recording of 1992's Separations. 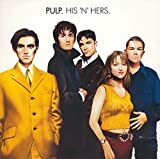 Tony Perrin, later manager of The Mission (who would also feature second Pulp lineup member Simon Hinckler), wanted the band to try to write a hit pop song in the style of Wham!, and this is the result. As you can hear it didn't really work. Apparently Jarvis' is quite ashamed of it, admitting that he didn't make any effort to sing properly and that the final recorded version features his guide vocal with the wrong lyrics. He's probably more scared of people seeking it out and looking at that haircut of his on the back. And the man with the world's worst beard standing behind him. That's a lot more frightening than the song. 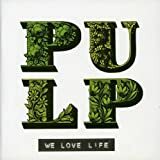 Regardless of its reputation, it's still worth a listen if you're a big Pulp fan. A lot of people say they prefer the bside, There Was, and its certainly interesting, hinting towards some of the weirder stuff that would appear on 1986's Freaks, which is the album i'll be looking at next time. For some more info on this single you can check out this page on the undispensible Bar Italia fansite. I used to have 'Everybody's Problem' on a Cherry Red compilation called Red Heaven, but I never came across 'There Was', so cheers for that. If you have a moment, please visit my music ringtone site. please upload wain "everybody's problem" and "there was"
Ah yes, we're waiting for Godot.